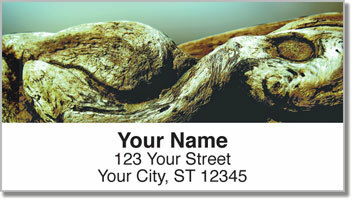 These attractive nature-themed return address labels will add a sense of peace and poise to every envelope you mail. Two of the images on this design feature small cairns. These man-made stacks of stones can be found all over the world. Many of them had spiritual significance, although today they are also used as landmarks along hiking and mountain biking trails. 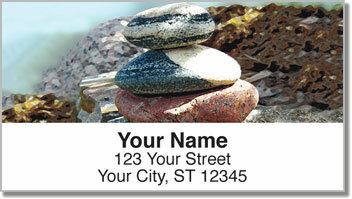 Zen of Nature Address Labels from CheckAdvantage were inspired by the balance of the natural world. 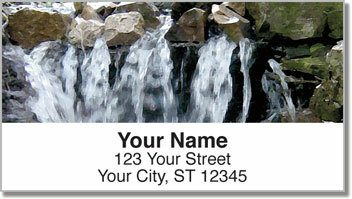 Use these labels to save yourself from the hassle of filling out every piece of mail by hand. Just peel and place thanks to a self-adhesive backing. 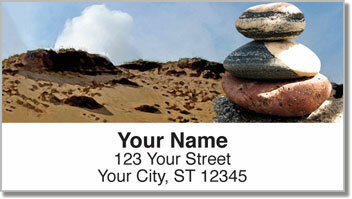 Order your very own Zen of Nature Address Labels now! You can also get the design in matching personal checks.